Show your American Pride with this Patriotic U.S. Flag Lapel Pin. 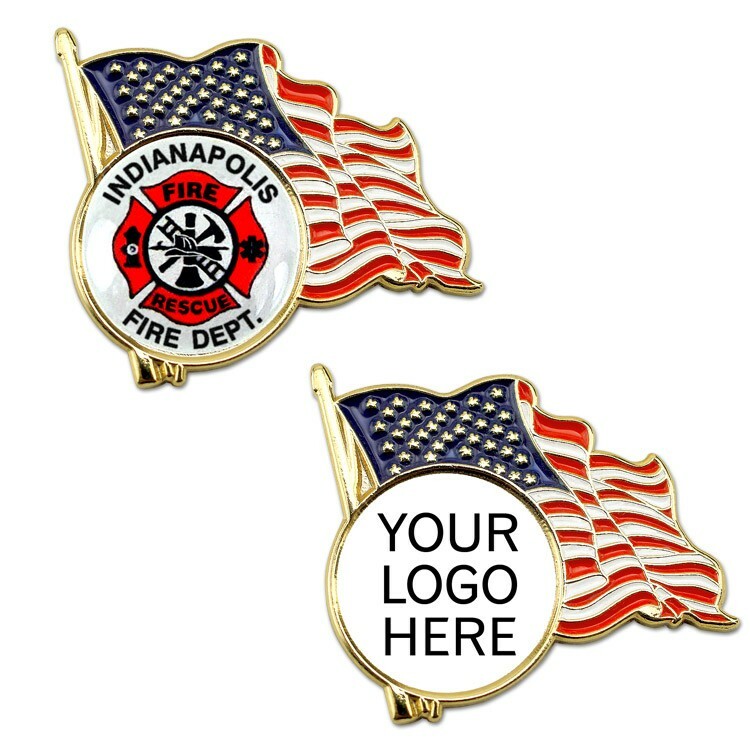 Ideal for Veteran's, Memorial or Independence day events, political campaigns or patriot celebrations. * NO SETUP OR DIE CHARGES! * Stock waving American flag design, die struck with highly polished gold finish. * Three colors of soft enamel color fill. * Ready to personalize with a full color image or design. * Imprinted in the USA. * 7/16" round imprint area. * Fast 10 working day production. Choose round imprint (7/16") or rectangular imprint (9/16" x 5/16").